Some movies are made for munching popcorn, but documentaries are supposed to punch you in the face, steal that popcorn from you, and then break your heart with proof that the beloved popcorn company you bought it from is horrifyingly corrupt and evil. No, documentaries aren't always fun, but they're good for you, right? Whether you love or hate films like Super Size Me, The Thin Blue Line, or Food, Inc., these films were made with a purpose, and they combined real footage, research, dedication, and testimonials to prove their thesis in an artistically pleasing way. No small feat. Documentaries are well-regarded as a genre, but that creates one, big, ugly problem: What if the filmmakers are lying? What if that blurry footage of the Slender Man, spaghetti trees, or a haunted house is staged? These elaborate pranks or intentional deceptions have happened, true believers, and the reaction isn't always pretty. It seems silly now. You'll probably never admit it to your kids. 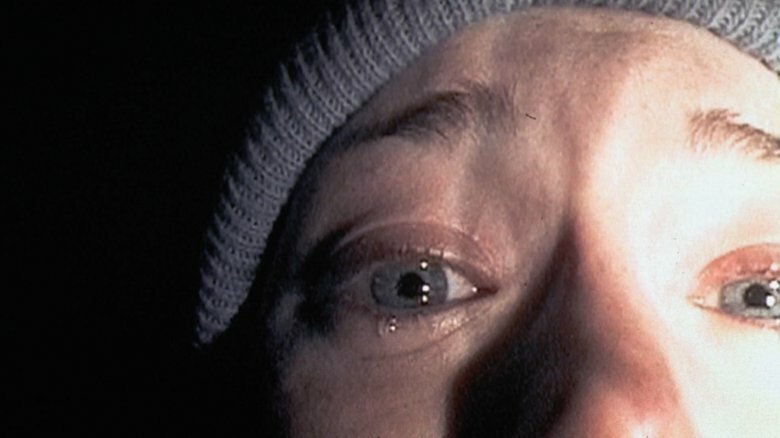 But if you're honest with yourself, you'll admit that the reason you screamed like a baby at 1999's The Blair Witch Project was because somewhere, deep inside, you thought it might be real. As the Telegraph explains, the conditions that made the Blair Witch stunt so successful back then could never be replicated today. At the end of the 20th century, the internet was a mysterious and scary place, so nobody could figure out which sites presented real information and which ones were phony. The Blair Witch filmmakers took advantage of this fog, blasting the weird wild web with dozens of doctored photographs, internet forum posts, fake interviews, and journals purporting to be evidence of a real "Blair Witch." They always claimed that The Blair Witch Project was a documentary, and all of the film's actors starred as themselves, which made things particularly hazy when the movie's IMDB page listed each actor as "missing, presumed dead." According to one actress, the hubbub got so crazy that her mother started receiving sympathy cards over her daughter's "death." Touching, but creepy. These days, a stunt like this would be laughed out of theaters. Today's audiences know that IMDb is unreliable, and any of those "missing" actors could've been dug up on Facebook in minutes, hence why the 2016 reboot didn't have the same effect. Nevertheless, this marketing scheme changed the face of cinema. …not real. About a decade later, it came out that the film was an elaborate staging exercise by London producers Ray Santilli and Gary Shoefield, made using an amazing alien prosthetic designed by a Doctor Who sculptor. Like a kid who has been caught with his hand in the cookie jar — and blames it on their sibling — Santilli claimed that his fake Alien Autopsy film was simply recreating a "real" version he'd seen many years prior, which was, unfortunately, too damaged for public use. So by making a replica, he was doing the world a favor, see? Needless to say, nobody falls for the same trick a second time, but Alien Autopsy will be remembered by UFO fans for many years to come. Spaghetti's magnificent taste, ease, and affordability already makes it a staple food for broke college students across the world, but what if you could plant a tree in the backyard and peel fresh noodles right off the branches? 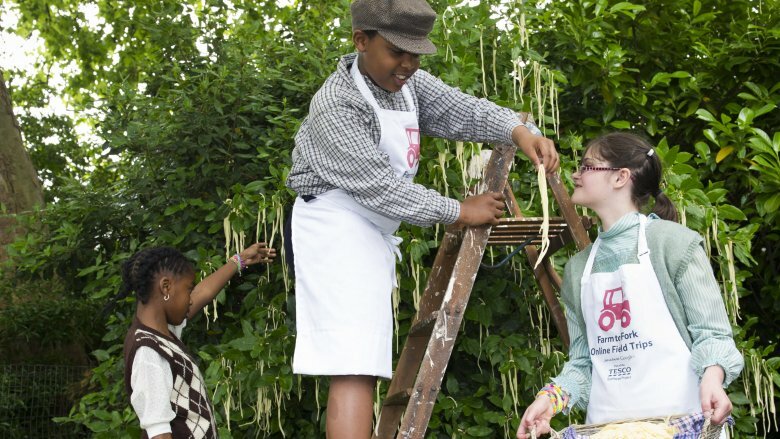 Ridiculous as this sounds, back in 1957, the BBC celebrated April Fools' Day by airing a short documentary featuring a Swedish family harvesting strands of fresh pasta off a spaghetti tree and leaving them to dry. According to narrator Richard Dimbleby, this was more stressful than it looked: Late March was a busy time for spaghetti gardeners, since a single bad frost could mess up the lovely pasta's flavor. Okay, so to a generation raised with Wikipedia at their fingertips, this sort of tomfoolery might sound difficult to believe. But to be clear, Brits at the time weren't particularly familiar with spaghetti, only having it as a rare novelty food. That's why so many viewers then rang up the BBC, according to the Telegraph, asking how they could grow their own trees. Allegedly, BBC responders told them to place sprigs of spaghetti into tomato sauce tins. Nice one. Way to maintain the credibility of the press. 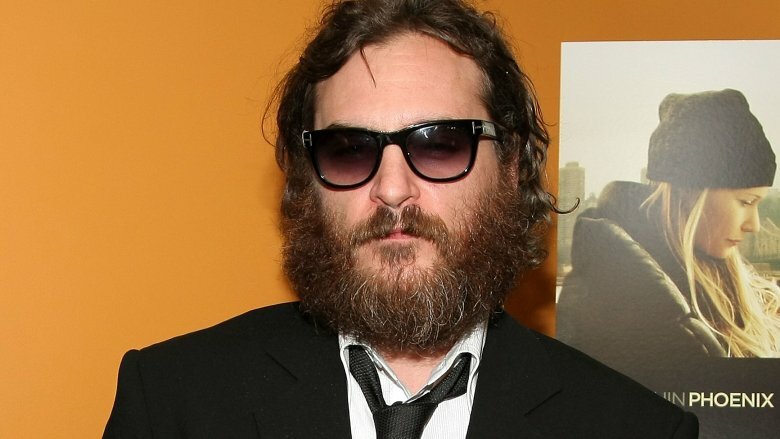 In the late 2000s, Joaquin Phoenix was one of the most celebrated actors in the world … then everything got weird. In a now-infamous interview with David Letterman, a bearded, mumbling Phoenix, wearing sunglasses the whole time, said he was quitting acting to focus on a new career as a hip-hop artist. It sounded like a joke, but Phoenix seemed deeply upset by the audience's laughter. Meanwhile, over in Miami, Phoenix was caught rapping on stage at a nightclub, according to the Guardian, in a terrible performance that ended with him collapsing before the audience. Phoenix's embarrassing fall from grace lasted two years, estranged his fans, and led to frequent rumors of a relapse into alcoholism. In response, his friend Casey Affleck got out a camera and started filming Phoenix's career change, for a documentary titled I'm Still Here. By 2010, the press proved that I'm Still Here was a gag. Probably the only reason it took so long was because it seemed absurd to think that a famous actor like Joaquin Phoenix would intentionally implode his own career by playing a damaged caricature of himself, in public, for years … but that's exactly what Phoenix did, and this serious method acting later earned him the praise of American Psycho author Bret Easton Ellis. Phoenix later described the experience as humiliating, but he doesn't seem to have any regrets, and he'll definitely never be accused of playing it safe. By this point, you would think everyone knows that the History Channel runs some weird programs, particularly when it comes to that alien show featuring the guy with the weird hair. 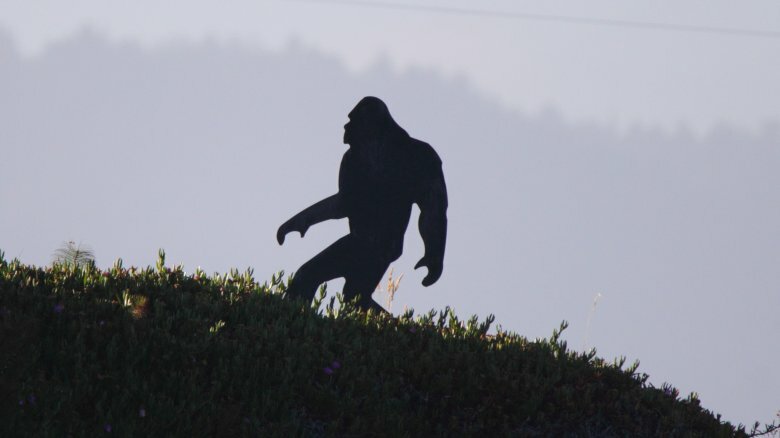 Still, way back in the ancient times of November 2015, the world's most famous source for staged pawn shop dramas aired a special titled Breaking History: Bigfoot Captured, claiming that America's most famous ape had finally been forced out of hiding. The whole thing was fake, obviously, but the illusion was enhanced by paid actors, interviews with real professors, and a CGI Bigfoot rattling his cage. Though the intro featured a quick clip stating that the film contained "some dramatization," according to Paste Magazine, millions of viewers missed this notice, resulting in an anxious Twitterstorm. People got so confused that Snopes even had to wade in. The whole thing has been thoroughly debunked by now, and History claims that they never intended to fool anybody, but don't be surprised if in 20 years, you run into someone who reminisces about the time they saw a live Bigfoot on TV. Thanks, "History." If you create spooky stories, your fans usually want you to be spooky, too. 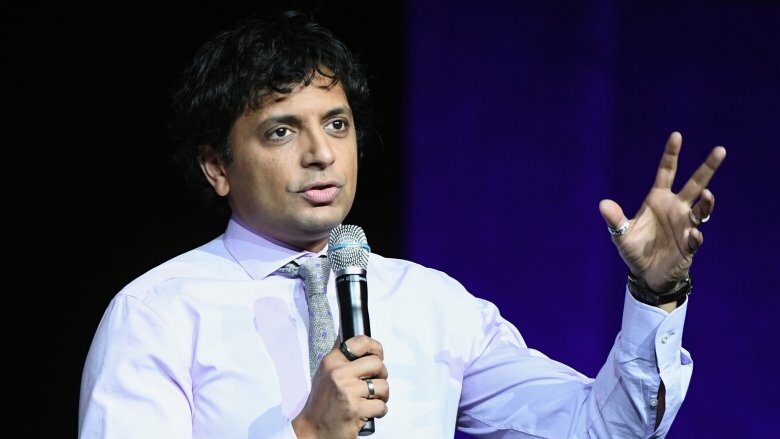 So in 2004, as promotion for The Village was ramping up, director M. Night Shyamalan decided to play into these stereotypes by participating in a phony Sci Fi Channel "documentary" titled The Buried Secret of M. Night Shyamalan, which received a lot of press due to (false) rumors that M. Night Shyamalan was uncomfortable with the film's release, according to the Guardian. Why was he (supposedly) uneasy? Well, the film pretends that Shyamalan saw dead people as a kid, a la The Sixth Sense, and features scenes where he walks out of interviews when the questions get too personal. Great story for a horror movie? Sure. But the Los Angeles Times says once the press figured out they'd been duped into providing free marketing for a three-hour commercial for The Village, they weren't happy about it. The producers apologized soon afterward. On Halloween 1992, the BBC honored the world's creepiest day by terrifying their viewers with a fake documentary. The program Ghostwatch, hosted by regular TV hosts like Michael Parkinson and Sarah Greene, allegedly aired "live" footage of a family in northwest London, whose home was being terrorized by a real ghost named Pipes. Featuring postmodern tricks like the cameras being taken over and the hosts disappearing, Ghostwatch was groundbreaking for its era, but for some, the illusion was a little too real. When Ghostwatch aired, the BBC's phones rang off the hook with complaints. Children couldn't sleep, and according to New Statesman, parents accused the network of giving their kids PTSD. One child who was allegedly traumatized by the show went to an inpatient unit for eight weeks for aggressively banging his head in an effort to escape from the Pipes ghost. Four other children exhibited similar conditions. The most infamous victim, though, was 18-year-old Martin Denham, who apparently became so consumed with Ghostwatch after it aired that he became terrified of the pipes in his house and took his own life five days later. To this day, Denham's parents blame the show for their son's demise. 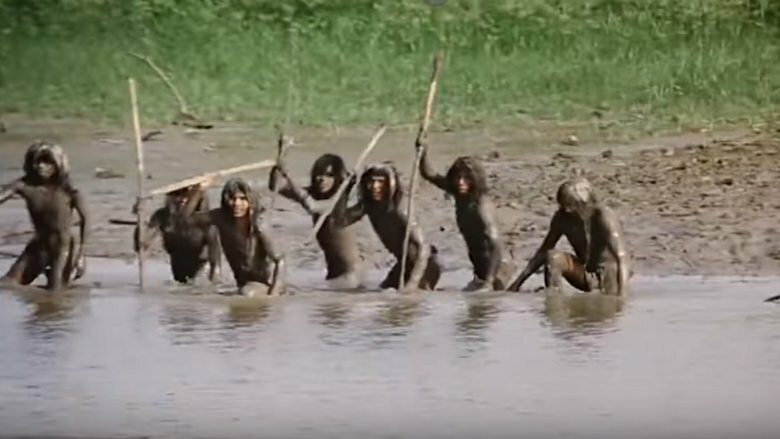 Ruggero Deodato's infamous Cannibal Holocaust is the grandfather of the "found footage" genre, but the many violent tortures, murders, and animal abuses depicted in the film — not to mention the troublingly racist depiction of indigenous South Americans — easily mark it as one of the most controversial films ever made. The movie depicts a film crew exploiting a native tribe, then getting cannibalized by them, all in graphic detail, filmed in a documentary style that was unheard of at the time. People were so shocked and horrified by Cannibal Holocaust that, according to io9, the authorities accused it of being a snuff film, and put Deodato on trial for killing his actors. Deodato's case wasn't helped by the fact that his actors had disappeared from the media for the year, thanks to a contract provision he'd made them sign. Naturally, that contract was broken faster than a glass bottle once the courts got involved, and the murder charges were cleared. What didn't get magically reversed was the very real, very cruel animal abuse that the film depicts, which got Deodato fined, and according to the Guardian is the only aspect of the film he regrets today. 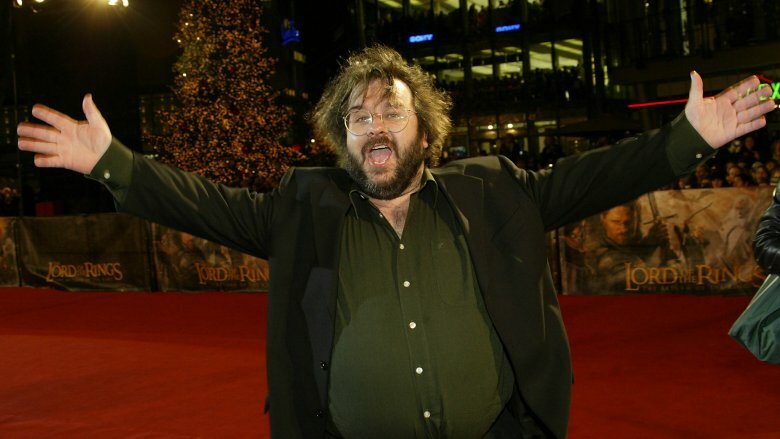 Today, Peter Jackson is one of the most celebrated filmmakers on the planet. But back in the 1990s, he was just a crazy New Zealander whose resume was defined by some of the goriest slapstick films ever made, so nobody was ready when he put out a phony 1995 TV documentary titled Forgotten Silver, which momentarily fooled the country into thinking that a fictitious Kiwi filmmaker named Colin McKenzie was one of the greatest film pioneers of all time. According to Stuff, Forgotten Silver was the climax of a clever viral campaign claiming that Jackson had discovered a chest full of Colin McKenzie reels at someone's house. While New Zealand viewers were initially excited to discover that a local hero had invented both color film and talkies, Forgotten Silver's many lies — including the fact that Colin McKenzie apparently flew a plane six months before the Wright brothers — eventually added up, and by the time the program finished, viewers were furious at being tricked. The University of Waikato says that Jackson and his co-director Costa Botes went on TV the next day to apologize. People were still upset, though, with one particularly infuriated critic casting a "pox" on Peter Jackson's future efforts. Considering how successful those Lord of the Rings films ended up being, it doesn't seem like the curse was too effective. 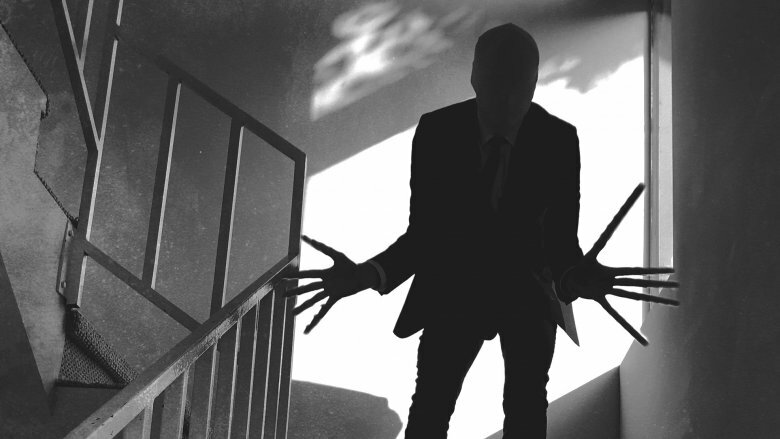 Slender Man's origins as a crowdsourced internet legend are pretty well documented by now, but back in 2009, there were still many people wondering if the faceless tall guy in the creepy playground photos was real. It was in this environment that amateur filmmakers Troy Wagner and Joseph Delage dropped "Entry 1" of their innovative web series Marble Hornets onto YouTube and set the internet ablaze. What made Marble Hornets so effective, as Bloody Disgusting recounts, was that it wasn't just a series but an alternate reality game. Each episode was uploaded by a supposedly real person named Jay, who was investigating a series of tapes left by his disappeared friend Alex. 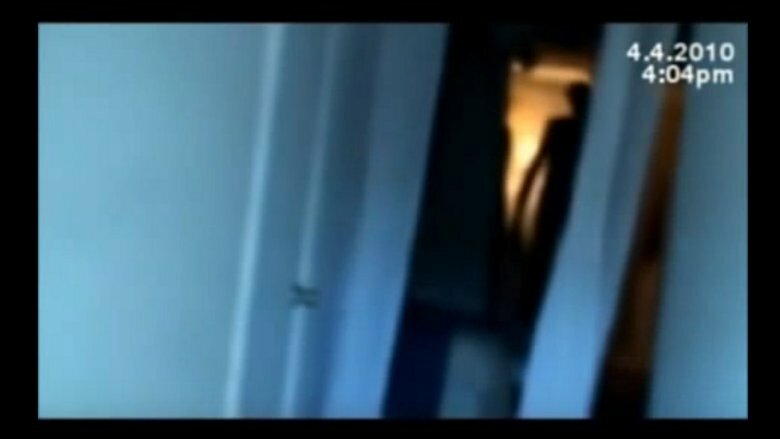 Throughout these clips, the Slender Man makes occasional, horrifying appearances in the background, and Jay soon starts experiencing weird stuff in his own life and asking his YouTube viewers for assistance. Meanwhile, as Alloy points out, the creepiest part might've been a fellow YouTuber named "totheark," who started responding to Jay's videos with his own unsettling clips. Yes, it was all fictional. But it felt real, and isn't that all that matters? Up in the frigid northeast United States, probably the only thing that could get Bostonians more frenetic than another Red Sox win would be if one of the nearby mountains blew its top and started spewing lava everywhere. As any resident of Milton, Massachusetts, will tell you, one of the best places to check out the Boston skyline is on the Great Blue Hill, which plenty of people drive by every day without any concerns about fire, smoke, or molten rock … because, you know, it's just a hill. 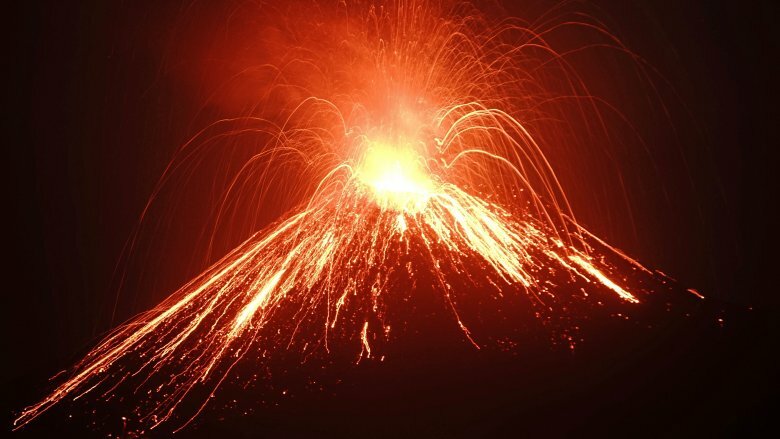 But in 1980, Atlas Obscura notes that a local TV news station got Beantown running wild when it aired fiery footage of Mount St. Helens, claiming it was the Great Blue Hill and it had erupted into a volcano that was probably going to swallow everything in its path. To up the stakes, the network also ran audio of President Jimmy Carter in the background. Guess what day this aired? That's right: April Fools' Day. But all those panicked locals didn't have time to check the calendar before dialing up the local police station and pleading for evacuation instructions. Though the network had probably figured everyone would laugh off a silly volcano clip, the producer who'd masterminded the whole stunt got fired over it.